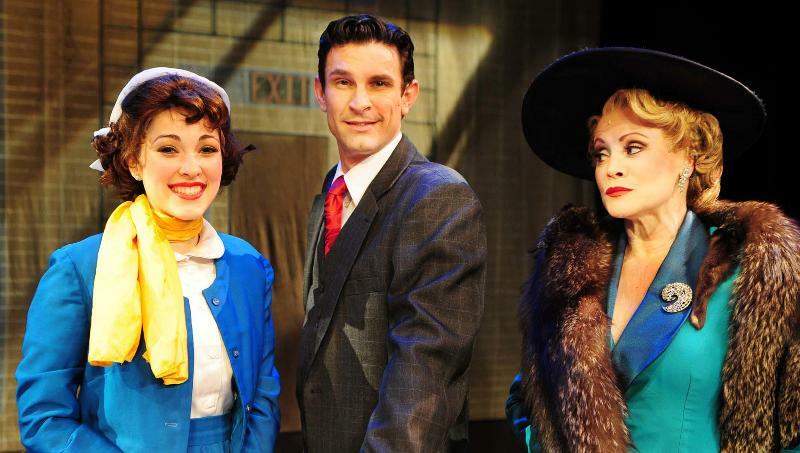 Musical Theatre West has kicked off their 60th season with an old favorite, 42nd Street. This musical is based on the novel by Bradford Ropes and its subsequent 1933 film adaptation. It debuted on Broadway in 1980 and has become a staple of regional theatre since then. This is the story of director Julian Marsh and his efforts to debut a new musical comedy, Pretty Lady, in the midst of the economic ruin of the Great Depression. Subplots include the romantic life and waning career of the aging leading lady Dorothy Brock, and the travails of Peggy Sawyer as she breaks into show business and becomes a star. There are a few easily recognizable songs, including “We’re in the Money,” “Lullaby of Broadway,” and (of course) “42nd Street.” Tragically, “I Only Have Eyes for You” was left out of this version. This show has music by the legendary Harry Warren, lyrics by Al Dublin and a book from Michael Stewart and Mark Bramble. 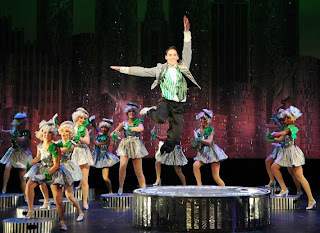 The fictional Pretty Lady has no plot, and 42nd Street does little better, with lots of great song and dance numbers that are barely held together with a story, but it does not really matter. This is pure entertainment with something for everyone, and every show does not have to be the next My Fair Lady or Les Miserables. Musical Theatre West has gone all out to make 42nd Street a success, with a live orchestra and a huge cast that is well suited to this show. Jon Engstrom took the role of director and choreographer, and the show was a visually exciting experience. The music was beautiful and well paced by musical director Michael Borth, who knows the score like the back of his hand. The wardrobe was great, with a few odd choices, such as the Renaissance Fair-clad paperboy, but the rental sets were a bit tatty around the edges. That is probably my fault for getting seats too close to the stage. The sound guys did a perfect job, and the cast was perfectly mic’d, which I do not hear very often. The guys at the Book of Mormon Pantages shows could have learned a thing or two from these guys. 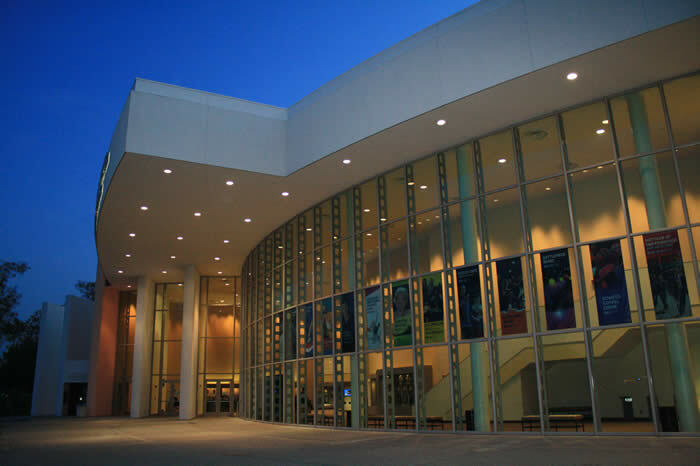 As always, the Carpenter Center is a neat place to see a show, and I do not think that any of the 1000 seats are bad. 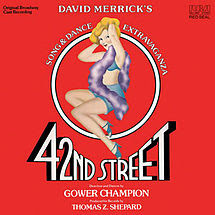 42nd Street was well cast, with Damon Kirshe taking the lead as Julian Marsh. He is a classically good-looking man and quite a strong singer too. He has an impressive stage presence, and though his character had more than its fair share of clichés in the script, he played them off well with just the right touch of imperiousness, greasiness and emotion. Tracy Lore is a doll with a beautiful voice; her character (Dorothy Brock) is supposed to have two left feet, but Tracy shows an incredible amount of grace and poise on stage. And Tessa Grady was darling as Peggy Sawyer, with incredible tap work, golden lyrics and the ultimate starry-eyed hopeful guise. She stole the show. The chorus is a huge part of this show, and they were all very good. From their epic tap routine that started the show to the finale, “42nd Street” they kept it together and added a lot to every scene they were in. Without their dancing and singing skills (and their dizzying number of costume changes), this show would have been impossible to pull off. Musical Theatre West hit it out of the park with 42nd Street, and it was a pleasurable 2 ½ hours for me and my wife. We are looking forward to their next production, Oklahoma!, which is a show with a lot better book and some truly incredible songs. I am sure that this crew will be able to pull it off with no problems. 42nd Street closes this Sunday, so you only have four more opportunities to catch the show: November 8th, 9th and 10th at 8pm, and November 11 at 2PM. 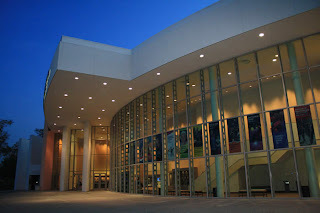 The Carpenter Performing Arts Center is located at 6200 East Atherton Street in Long Beach, on the campus of Cal State Long Beach, and parking is $5. 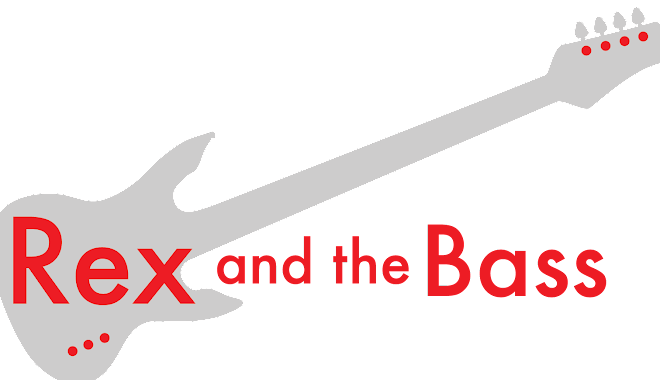 There are still a few seats available, so check musical.org for details.